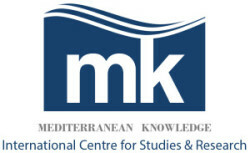 The International Centre for Studies and Research – ICSR Mediterranean Knowledge can be joined both by new Research Units (Article 12 of the Statute) and individual scholars (who can be affiliated the existing Research Units, according to the Article 4 of the Statute). The arrangements are set out below. For further information please contact the secretariat of the ICSR Mediterranean Knowledge. Universities, Research Centres and other Public and Private Bodies can join the ICSR with their own research units, in accordance with article 12 of the Statute. For acceding, the competent bodies of the applicant universities/research centres have to approve the Rector’s Decree of establishment (University of Salerno, n. 2236 of 26th May 2015) and the Statute of the ICSR Mediterranean Knowledge. After the approval, they can send the application to the Director, who will submit it to the Governing Council. The Council will assess the application, according to the article 12 of the Statute. Universities, Research Centres and other Public and Private Bodies must fill the application form and all its annexes in Italian and English version, with all statements and information required. Individual scholars can join one of the existing Research Units, in accordance with the article 4 of the Statute. Scholars must fill the application form in Italian or English version and send it to the concerned Research Unit. The affiliation will be valid only after the approval by the Research Unit and by the Governing Council of the ICSR Mediterranean Knowledge, in accordance with article 4 of the Statute.